Robert is an allusion to a mass murderer, but doesn’t refer to any specific Robert. The name is a metaphor for any kid about to explode with anger. His dad is neglectful and probably violent and abusive (comes home late, frozen dinner, gun left at hand). Mom is not mentioned and probably gone – or dead. Robert has disassociated himself from his peers and society in general. He’s the lone cowboy whistling as he rides along. As he tokes his “rolled cigarette” he notices the head of the joint is all fired up – just like his own mind. He realizes he has lost his reason. 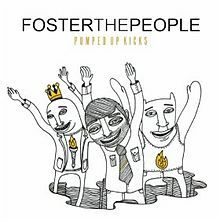 The kids with the pumped up kicks are those whose lives are all together. He is extremely envious of them and has directed his anger toward his dad upon them. They better run cause he’s got a gun. The tone of the song juxtaposed against the dark lyrics mirrors what often occurs in this type of individual. Everything on the outside is fine, but within something is about to erupt.